Situated in the heart of Santa Monica, Tiato exemplifies eco-chic in its blend of outdoor and indoor spaces. 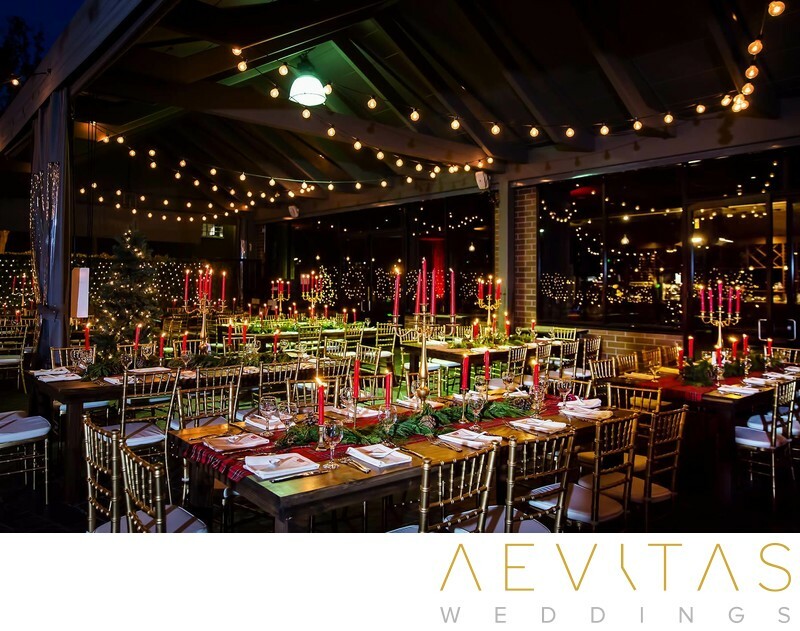 The raw concrete floors and reclaimed wood interior of its dining room tumbles into a leafy green courtyard, perfect for intimate wedding ceremonies and receptions of up to 200 people. Whether you opt for a mid-morning or late-afternoon ceremony, the elegant courtyard space at Tiato provides an idyllic setting, planted with herbs and citrus and adorned in soft white drapes. The lush greenery creates a stunning backdrop for wedding photos, particularly when framed with a floral bridal arch. After saying “I do”, invite your guests inside for cocktail hour while Tiato’s staff swiftly transform the ceremonial lawns into a lavish reception space, with vintage candelabras and floral table decorations adding undeniable elegance. Dine under the stars, surrounded by your family and friends, then party into the evening on their interior dance floor. Once the sun goes down, Tiato’s courtyard is adorned in romantic fairy lights, making nighttime couple wedding photos particularly atmospheric here. All catering and beverages are taken care of by the expert staff at Tiato, whose menu features cuisine from across the globe that has been given a contemporary twist. You can customize your menu with the help of their highly experienced event coordinators, who will assist you in planning every detail of your special day. Not only does Tiato offer flexibility in allowing you to personalize many aspects of your wedding day, but their location in Santa Monica makes it easy for your guests to get home at the end of the evening or book accommodation nearby.